Sebastian Vettel criticised an "unfair" decision to call him in for a weight check during a hectic Q2 at the Brazilian Grand Prix after he was referred to the stewards for destroying the FIA's weighbridge by driving away from it under his own power. 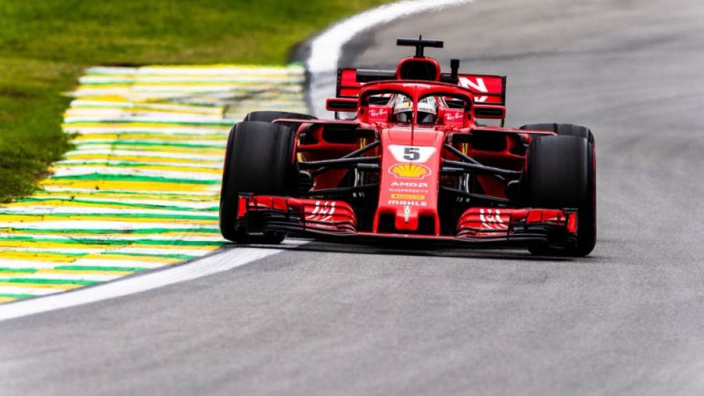 Vettel qualified second behind Lewis Hamilton at Interlagos but both drivers' positions were uncertain – Hamilton for blocking Kimi Raikkonen and Sergey Sirotkin and the Ferrari man for his bizarre incident. Vettel gesticulated and shouted in German while the Stewards dithered somewhat, but he could find himself in trouble – and potentially stripped of his second place. He said: "They shouldn't call us when the conditions are like that, I think it's unfair if somebody gets called in. I wanted them to hurry up."